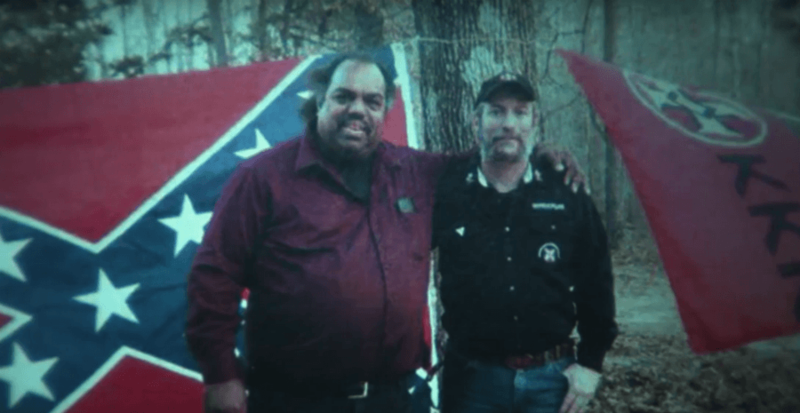 For the past 30 years, Daryl Davis, a black man, has spent time befriending members of the Ku Klux Klan in the hopes of improving race relations. For three decades, blues musician Daryl Davis has traveled around the U.S., seeking out white supremacists at every turn in hopes of changing their minds. Now, Davis states that he’s convinced roughly 200 white supremacists to leave the Ku Klux Klan by befriending them. A new documentary about Davis even features the 58-year-old sitting down next to cloaked Klansmen and joking around. “Music absolutely played a massive role in bridging many gaps in the racial divides I would encounter,” Davis continued. Known for his energetic piano style, Davis has played with musicians ranging from Chuck Berry and Jerry Lee Lewis to Bruce Hornsby and Bill Clinton. But now, Davis’ work among white supremacists will surely be his greatest legacy. The new documentary on his work, Accidental Courtesy: Daryl Davis, Race & America (view trailer above), premiered earlier this month. Next, read about the most infamous KKK members ever to serve in the upper levels of American politics.